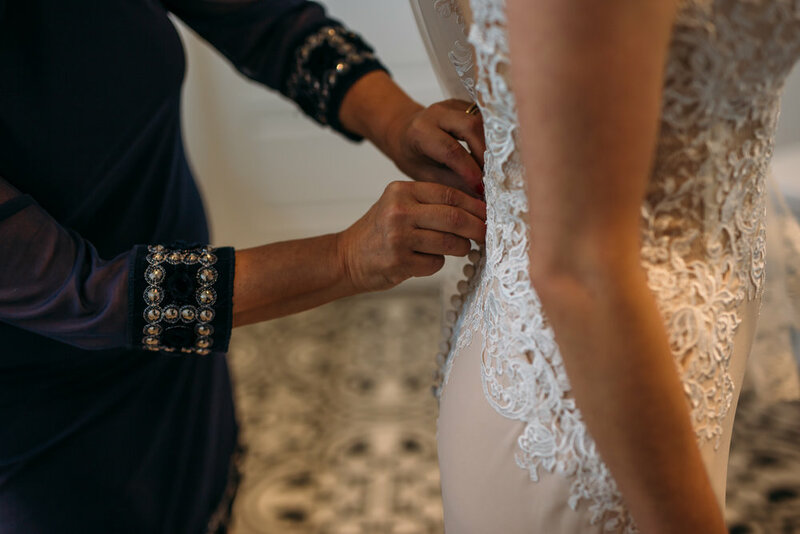 I am a bit behind on blogging – but this one wedding was definitely worth the wait. 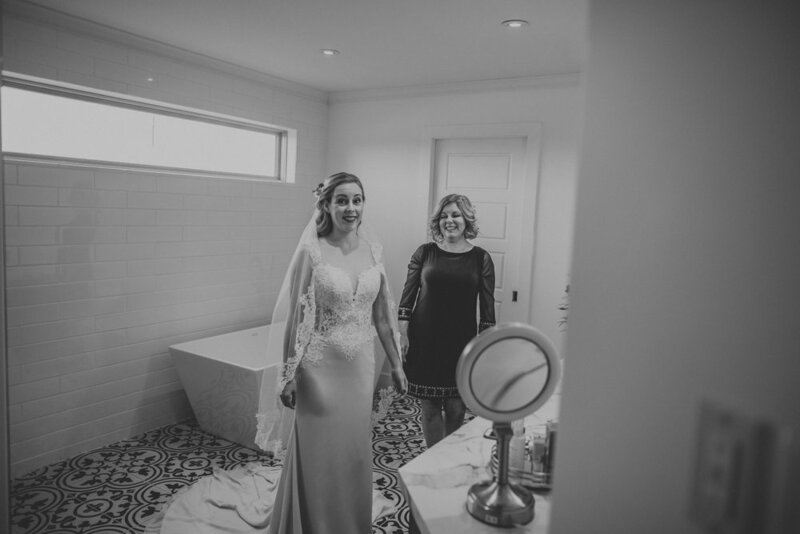 The beautiful bride Emily contacted me just a few weeks before wondering if I had some available for a small intimate wedding with a Halloween theme and I was so happy that I was! 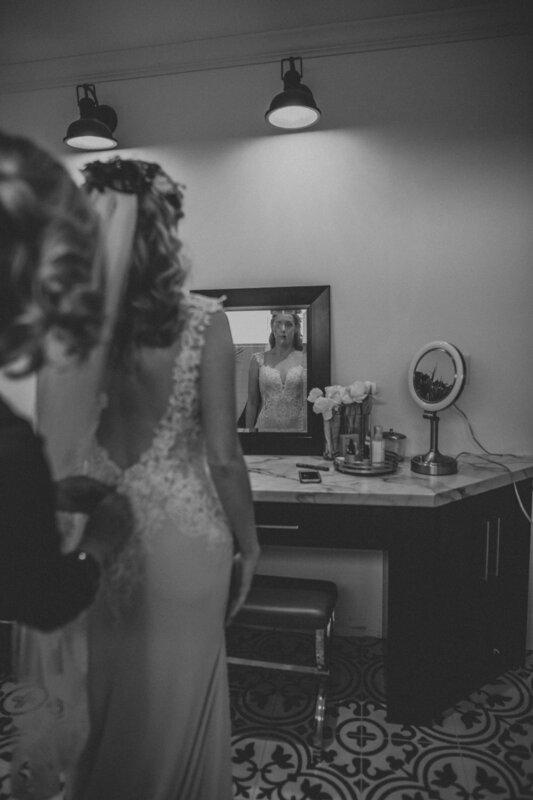 I love full day weddings but there is something so special about some intimate weddings and elopements – they are always so emotional and usually there is more time for portraits of just the two of you. 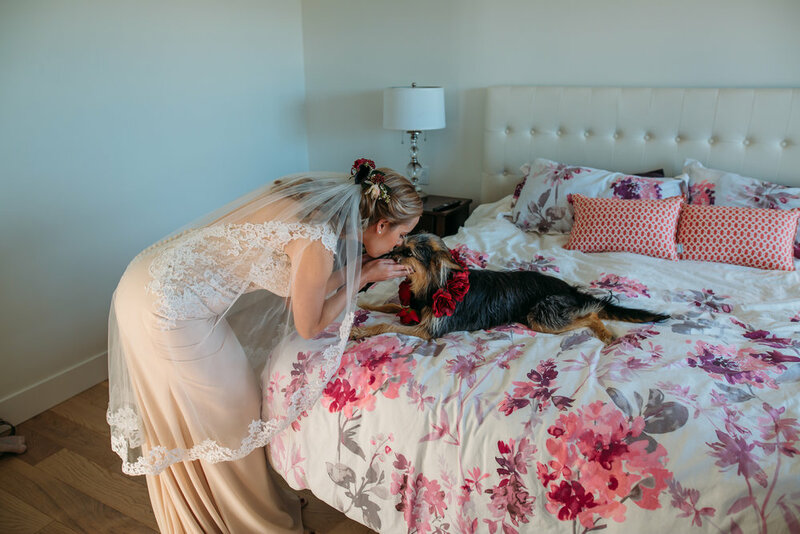 Their ceremony was at four in the evening at their new home. I arrived to three skeletons (Mr, Mrs and canine) sitting on their front lawn decked out in wedding attire. From there is entered their home. 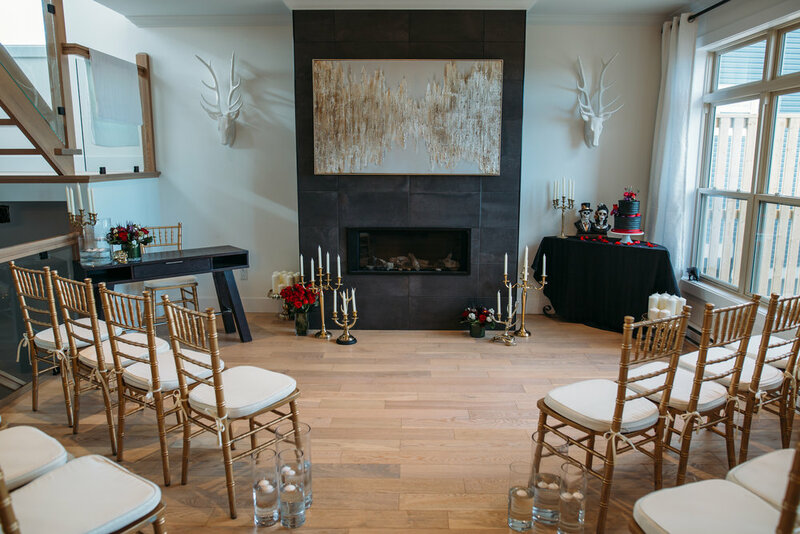 Emily had made magic happen in just a couple of weeks and transformed their living room into a ceremony and reception space. The rentals were from Event three sixty – and looked amazing in her modern home. Scattered throughout the house was little touches of Halloween including their cake from Tulip Baroo Bakery who make vegan and gluten free cakes in St. John’s. 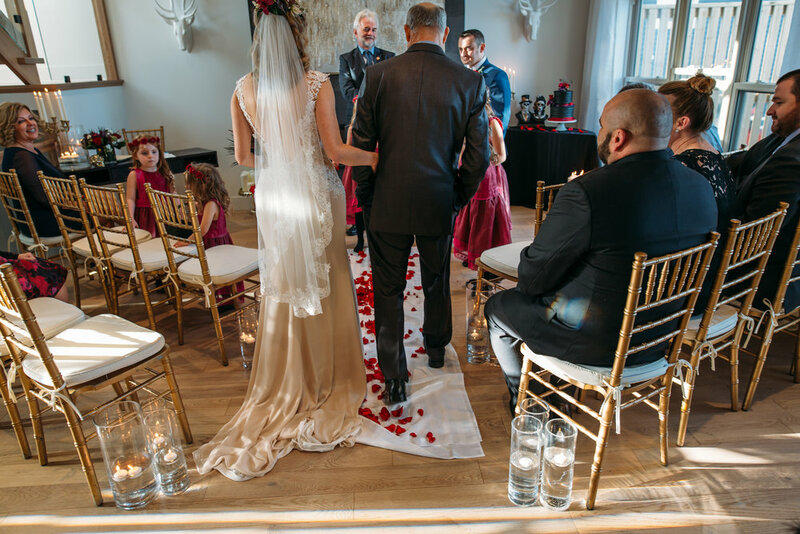 The ceremony was beautiful featuring a live musician and tons of personal touches. After the ceremony the bride’s awesome father took us for a drive in his classic car to do some pictures at Topsail beach. It was a chilly evening but we had the most incredible sunset which made for some epic pictures. Once the pictures were all done we headed back to their place for a few more candid shots of the party. All in all it was an amazing evening and I felt so glad to be a part of it.